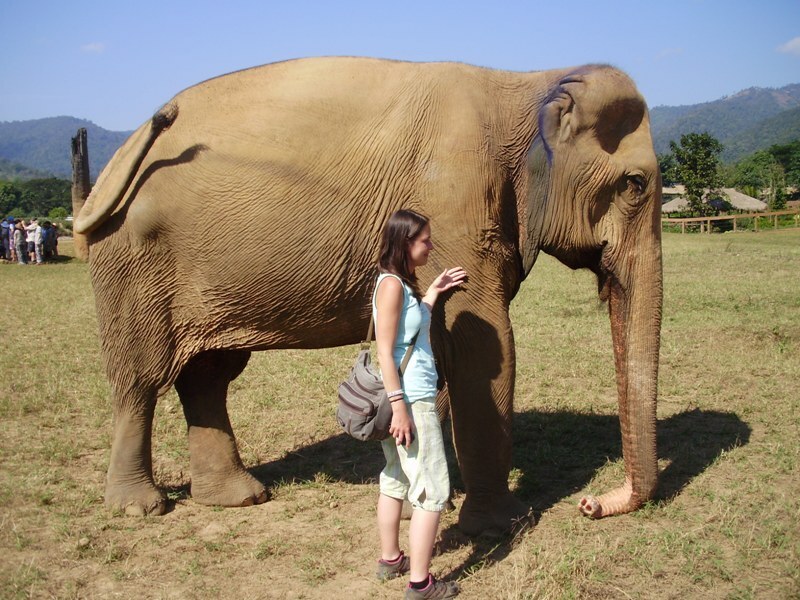 My itinerary in the northern Thailand depended on date of visiting Elephant Nature Park in Chiang Mai. 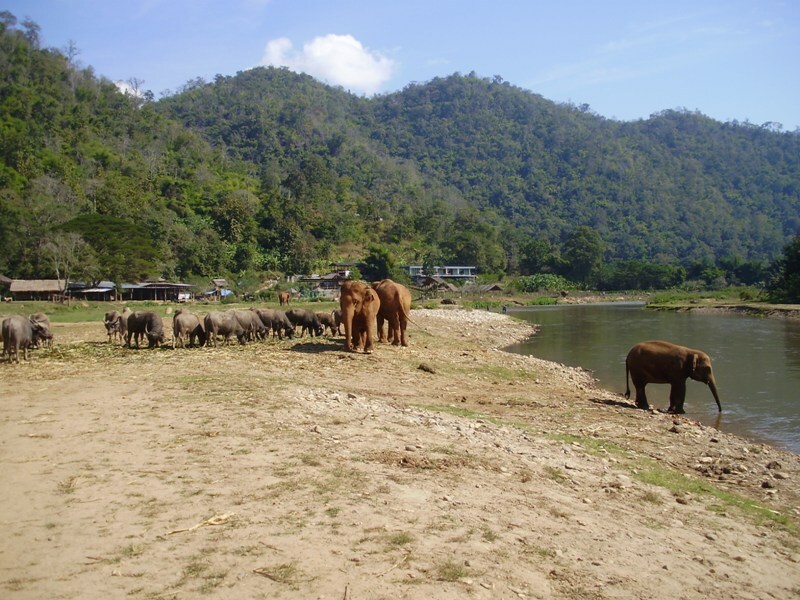 In the north of Thailand there are dozens of elephant sanctuaries. 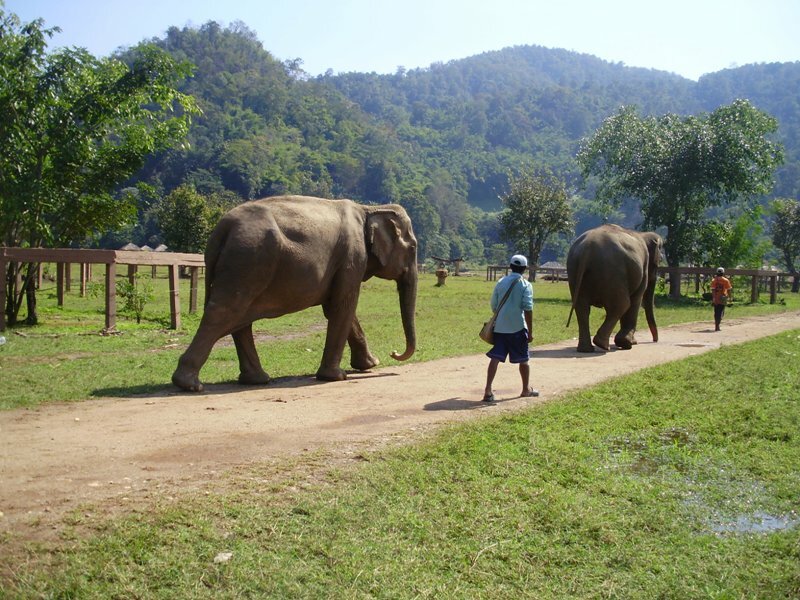 In some sanctuaries they offer riding elephants. 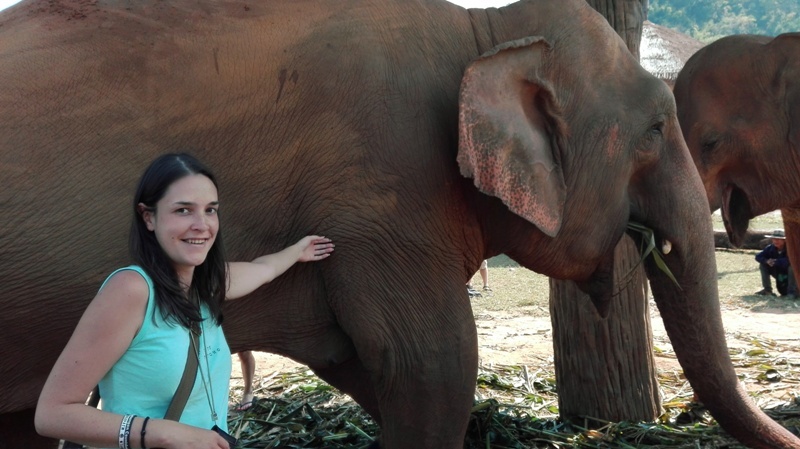 The weight of carrying tourists on the back is grueling and can cause severe damage to an elephant’s spine. 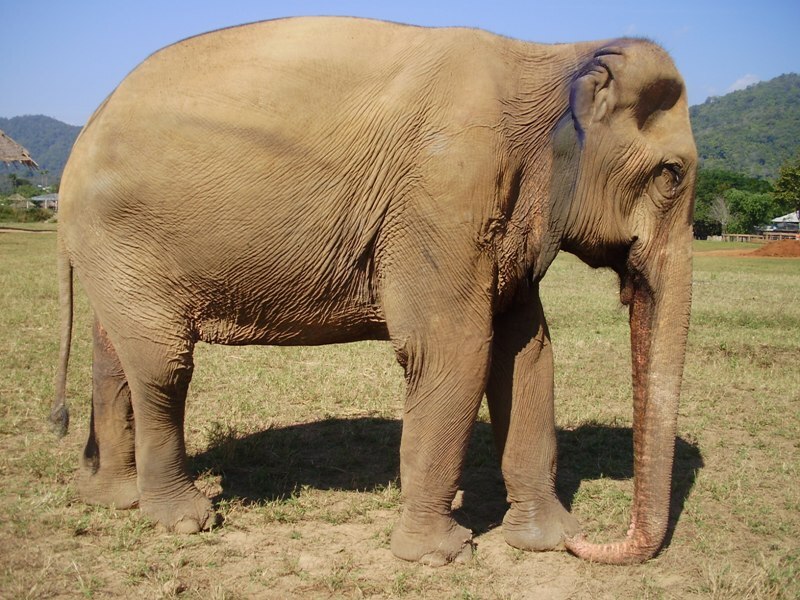 At every sanctuary, people who work there will tell you the same fairly tail, that you are in the best sanctuary you can find in the area. But it’s not true. 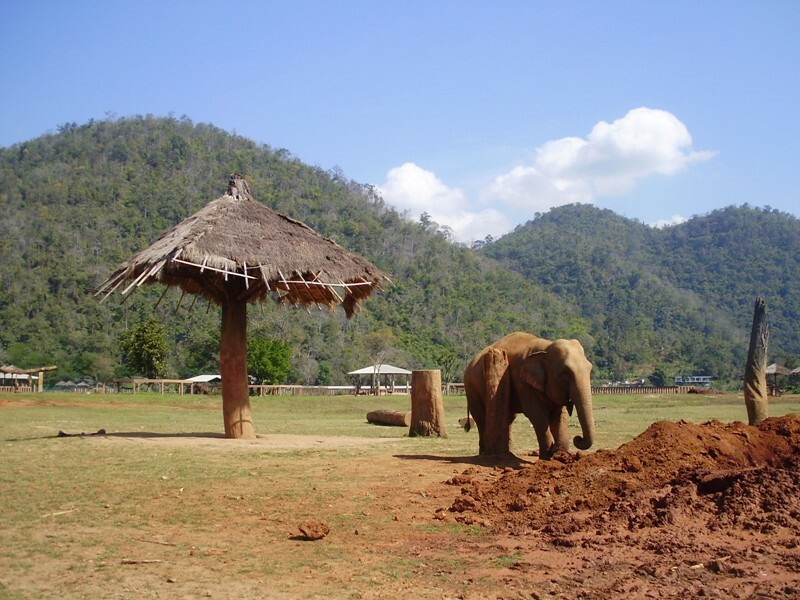 There is only one real sanctuary in the north of Thailand, where they really help and they use money from admission fees to help animals. 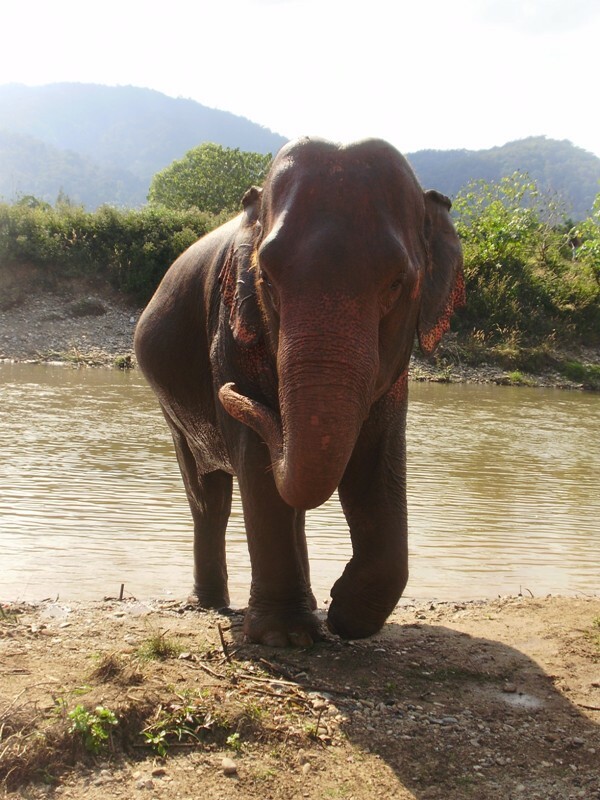 They help not only the elephants, but also the dogs, the buffalos and the cats. 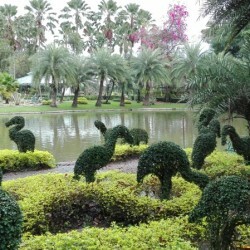 This place is known as Elephant Nature Park in Chiang Mai. 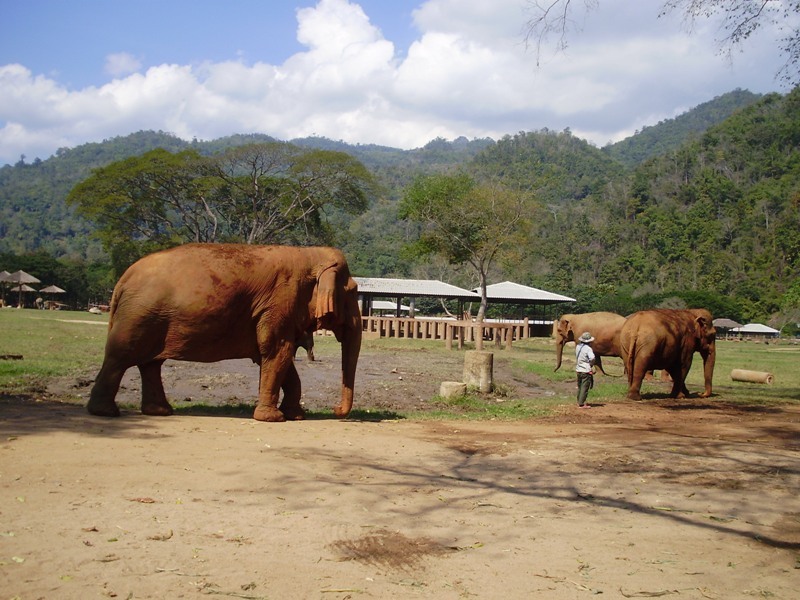 How to get to Elephant Nature Park in Chiang Mai? 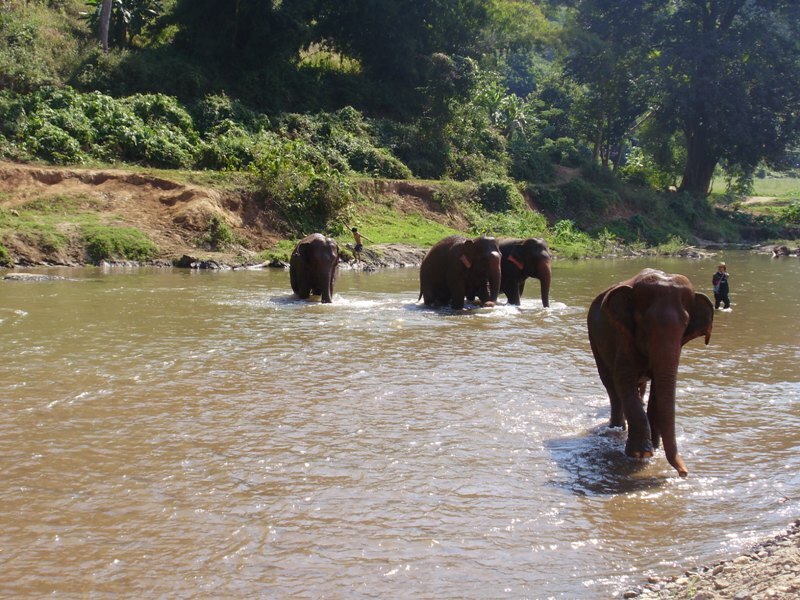 In Thailand, I wanted to see elephants. 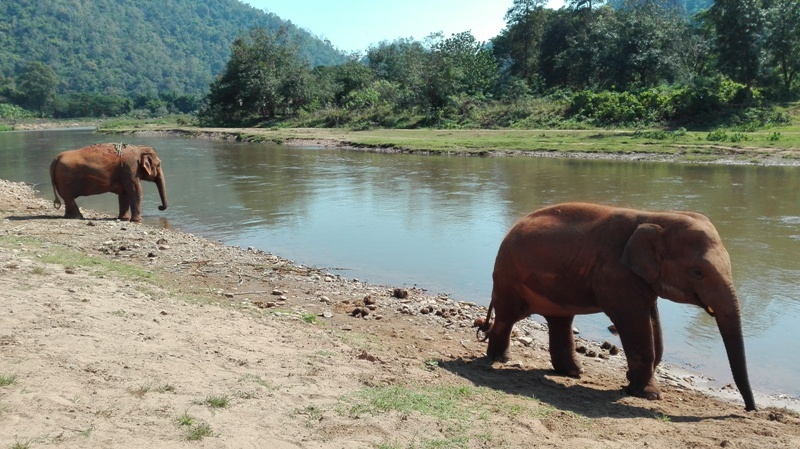 In my case there was only one place, where I was able to pay money for seeing elephants and it was in Elephant Nature Park. 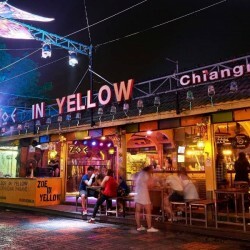 Immediately after arriving from Surat Thani to Chiang Mai, I looked at the reservations on their official site and found that the first available date is the date when I will fly back to Europe. 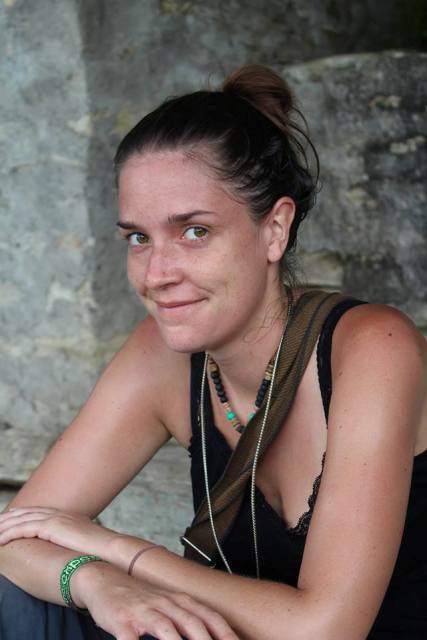 I was disappointed, but I didn’t give up. 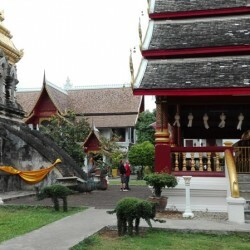 I found out they have office in Chiang Mai’s old town at 1 Ratmakka Road, Phra Sing, so I went to ask there. It was great decision. 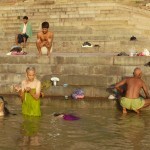 They still had some ticket available which wasn’t visible through the online booking site. 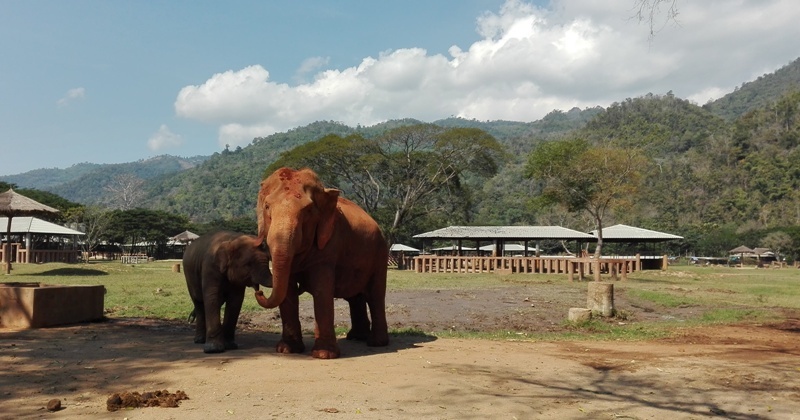 So I booked Elephant Nature Park on the last day of my stay in Chiang Mai, the day before my flight to Europe. 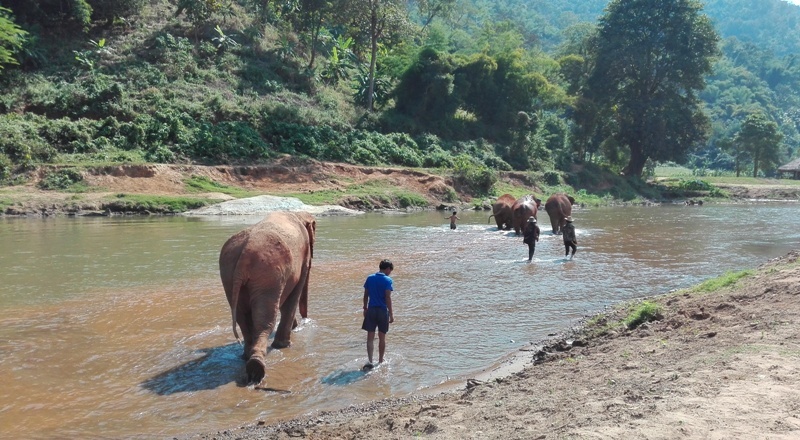 This trip was perfect saying bye-bye to Thailand. 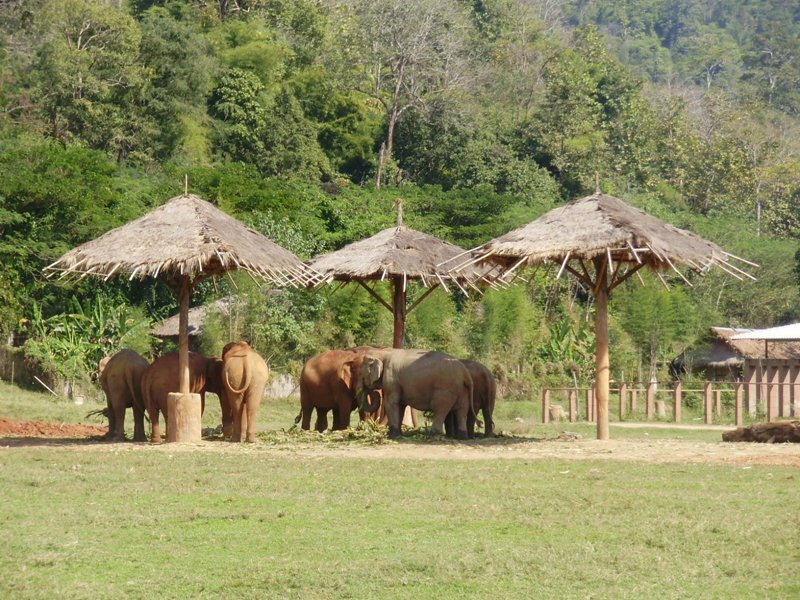 The sanctuary offers various types of trips and voluntary works. 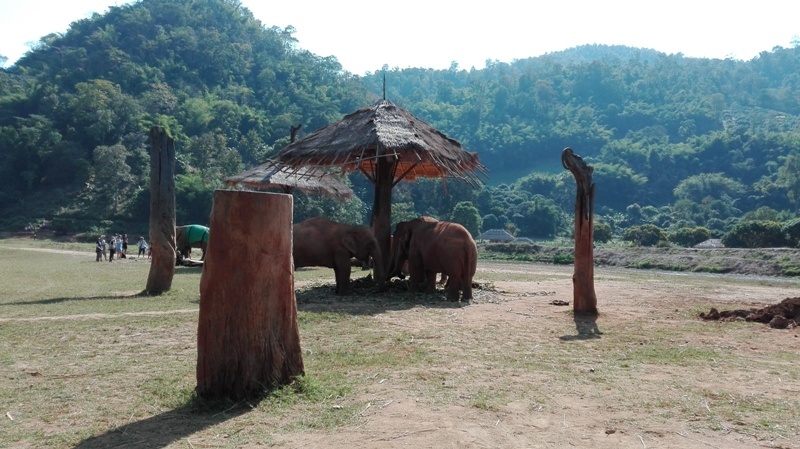 I booked a one day tour to Elephant Nature Park, which costs 2500 bath. 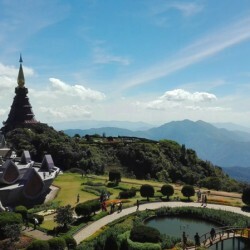 It is a lot of money in Thailand, actually, it’s the most expensive trip I’ve ever had in Thailand, but I’ve never regret it. 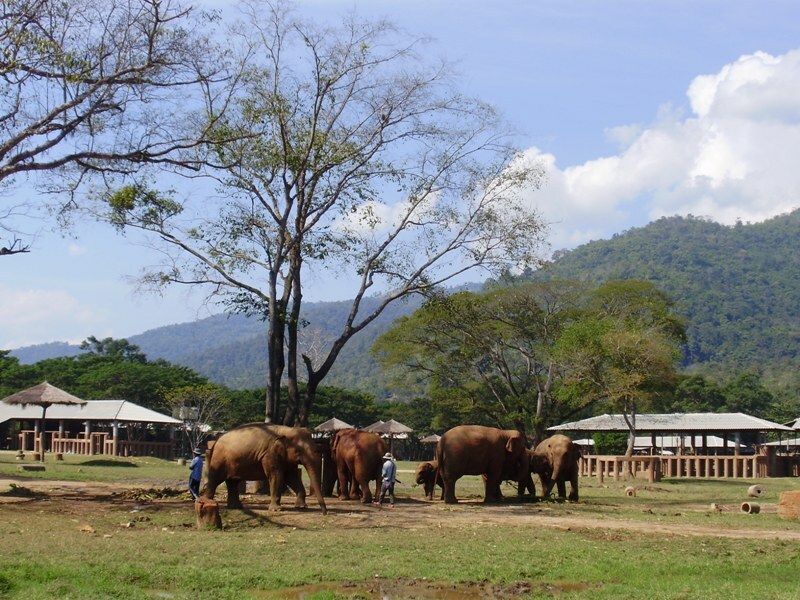 Elephant Nature Park is an elephant rescue and rehabilitation center in Northern Thailand, which is located about 60 km far from Chiang Mai. 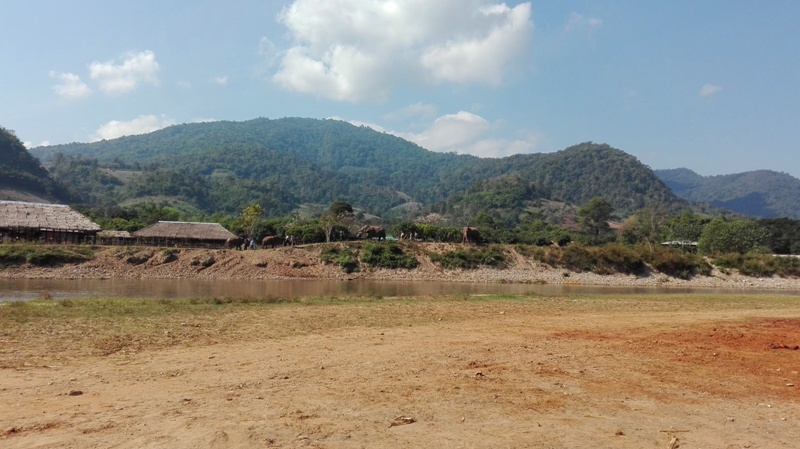 People can volunteer or visit to help. 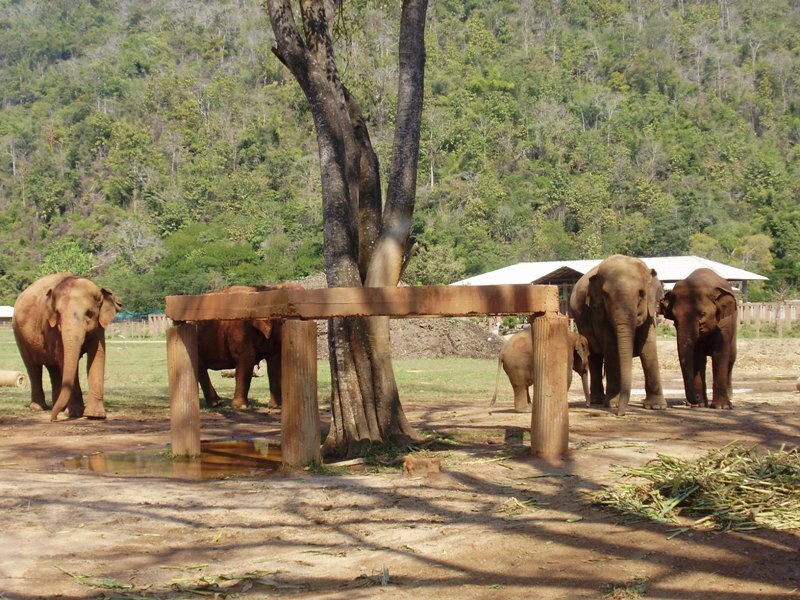 Project was established in the 1990’s and their aim has always been to provide a sanctuary and rescue centre for elephants. 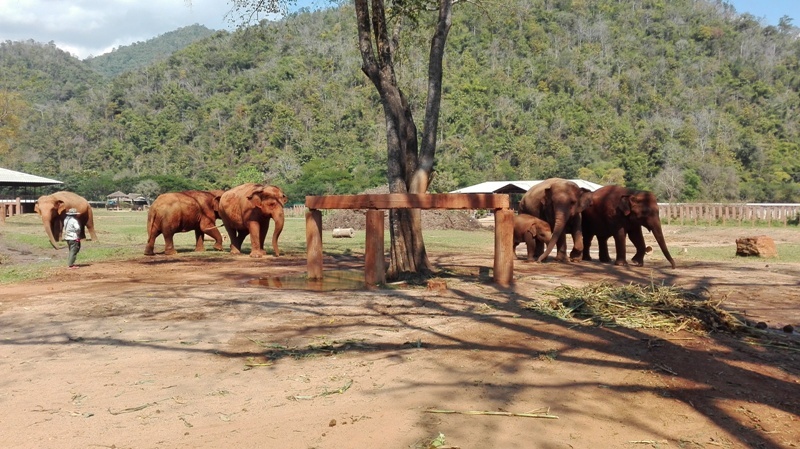 The park provided a sanctuary for dozens of distressed elephants. 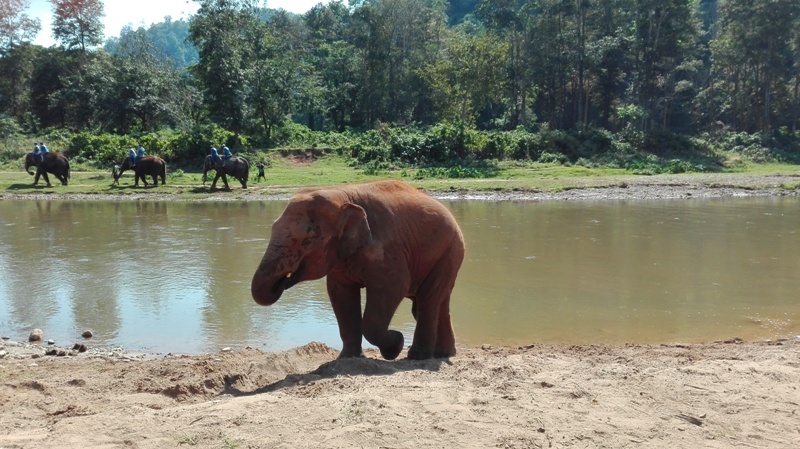 They have been involved in dozens of rescues which have created thriving elephant herd. 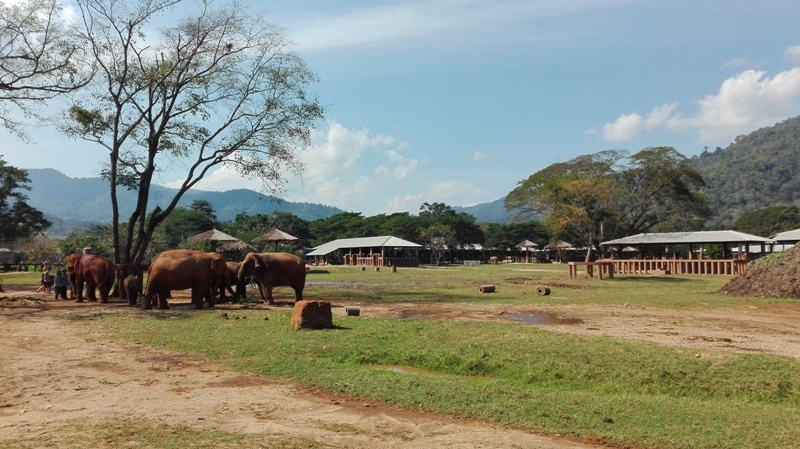 The park provides a large natural and beautiful environment for elephants, dogs, cats, buffaloes, birds and many other animals from all over Thailand under their care. 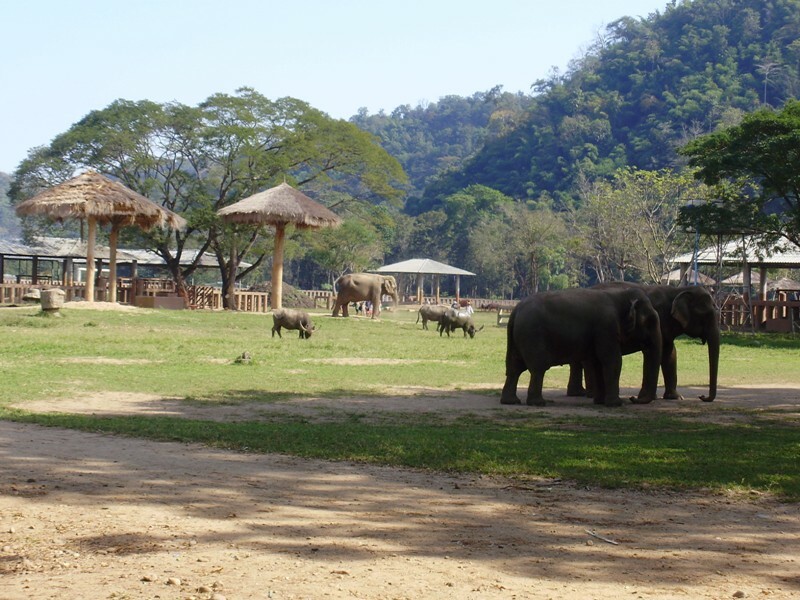 The park has received numerous awards from institutions and has been featured in many international publications including National Geographic magazine and documentaries from film production companies ike Discovery Channel, National Geographic, Animal Planet etc. 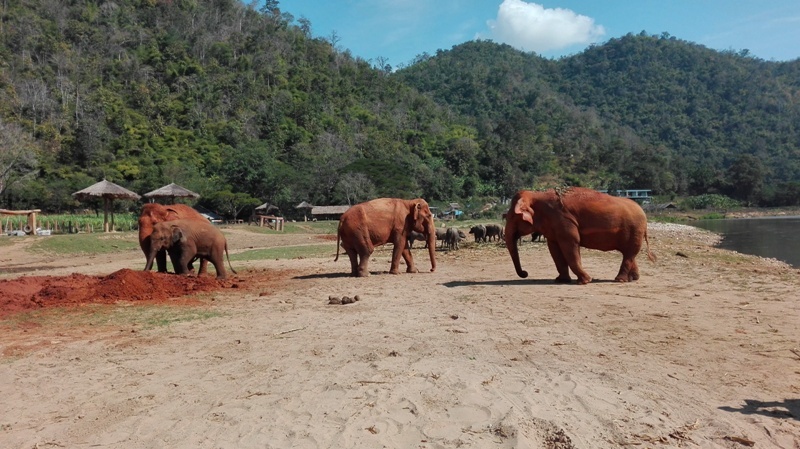 How does the day in Elephant Nature Park looks like? They picked me up at my hotel. That day we were group of 8 people. 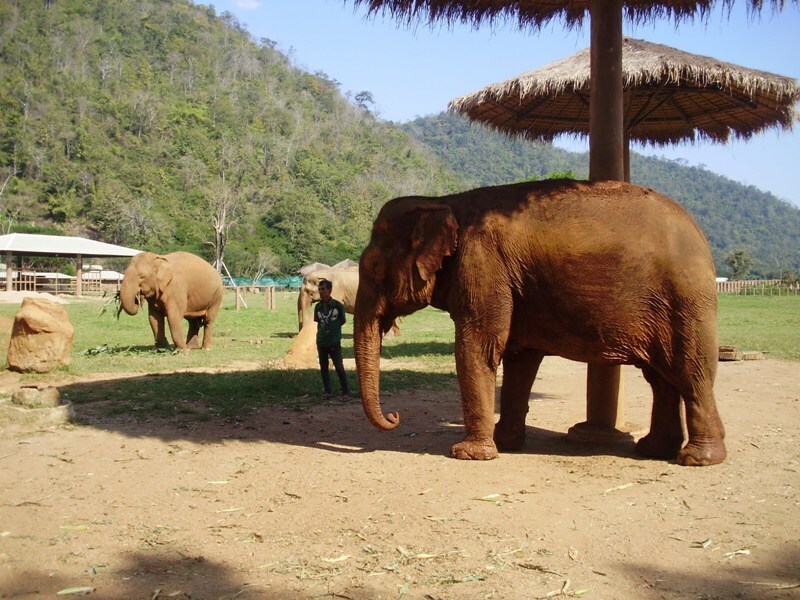 During the ride they showed us an informative video that was hard for me to watch, because it was about kind of abuse elephants have been through and information about park and its owner. 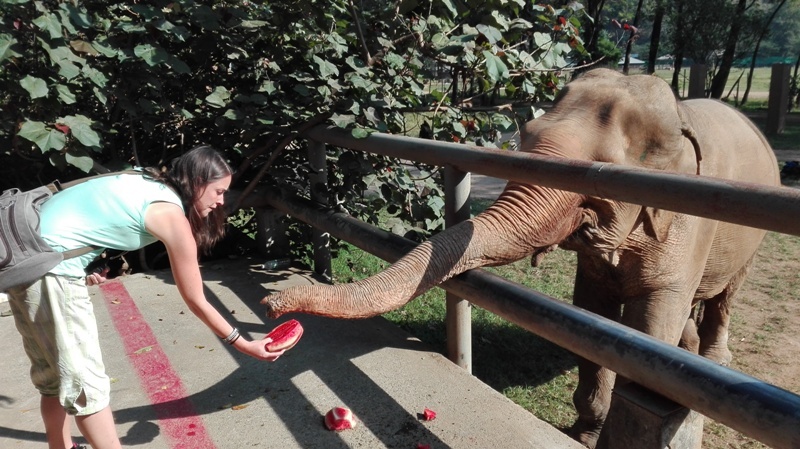 When we arrive we got straight in to feeding elephants with big bucket of water melon. 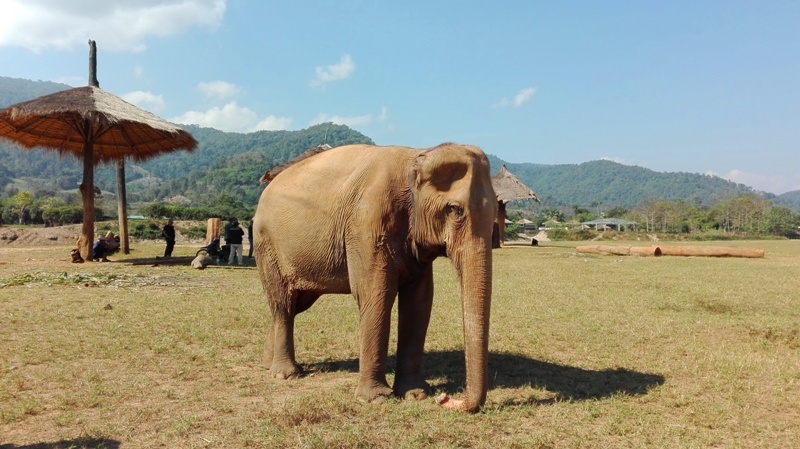 On our walk around the park we get a lot og time to meet and interact with different elephants and hearing what the elephants have suffered before in capture. 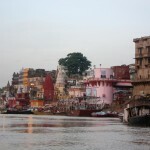 Our guide couldn’t have been better, giving us great interaction and taking his time to make sure we had a great experience. At noon we had a excellent vegetarian tasty lunch. You can eat as much as you want. 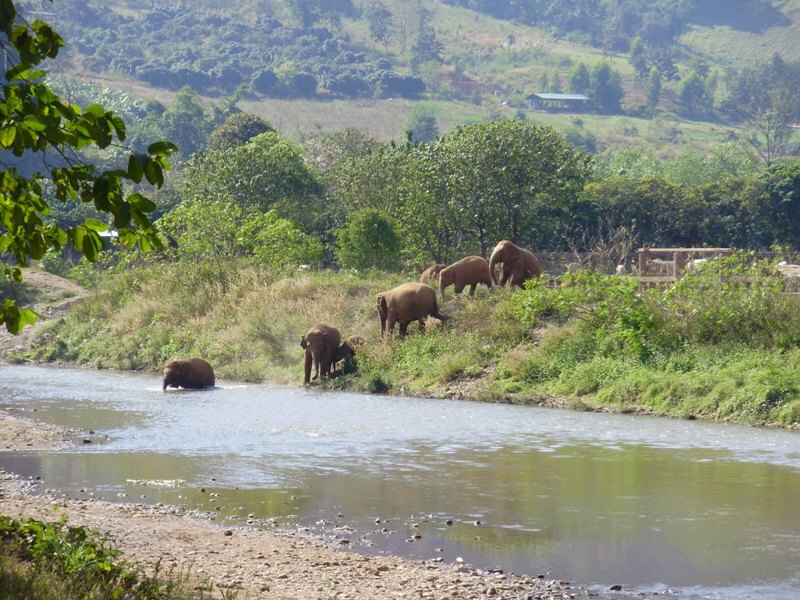 After lunch we continued meeting elephants and on the end we took them to the river and bathe them. 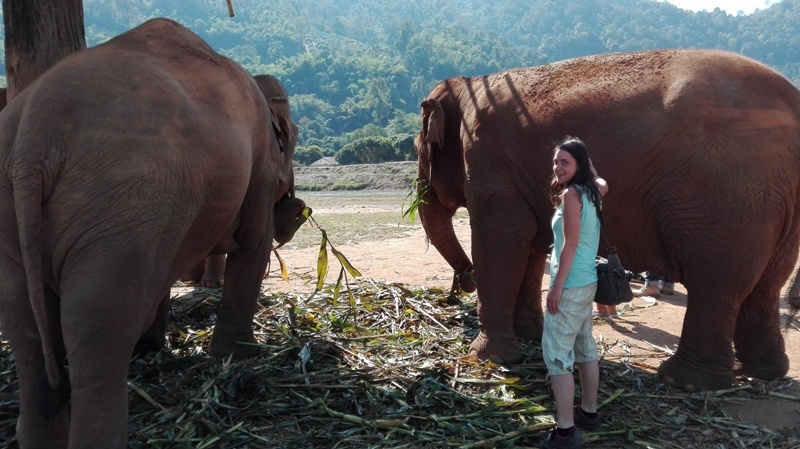 Staying in Elephant nature park was enjoyable experience that was the highlight of my trip in Thailand and I recommend visit this park to everyone! 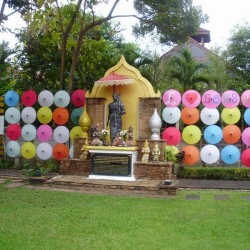 It is worth even for more money!